The spill has been contained to the company's property in Darfield. 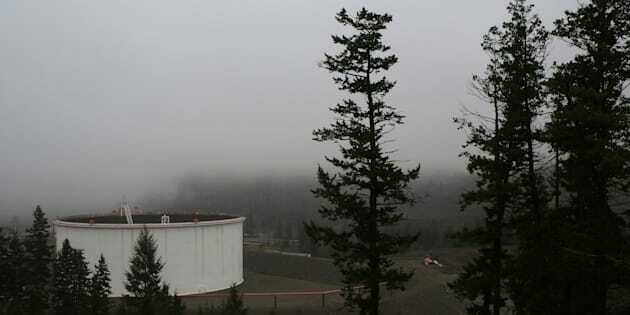 A crude oil storage tank at Kinder Morgan's Trans Mountain Pipeline terminal is seen in Kamloops, B.C. in 2016. The station was isolated and the main Trans Mountain pipeline was shut down as a precaution, the company said. The pipeline was turned back on at 3:20 pm PST, a spokesperson said by email.